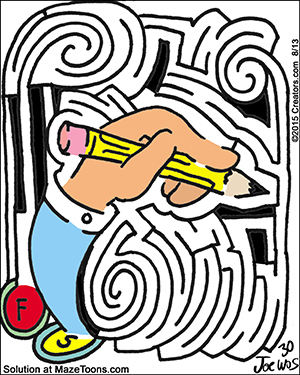 Great Literature Mazes, Happy birthday Kafka! Speedy Delivery! Mister McFeeley in MazeToons.